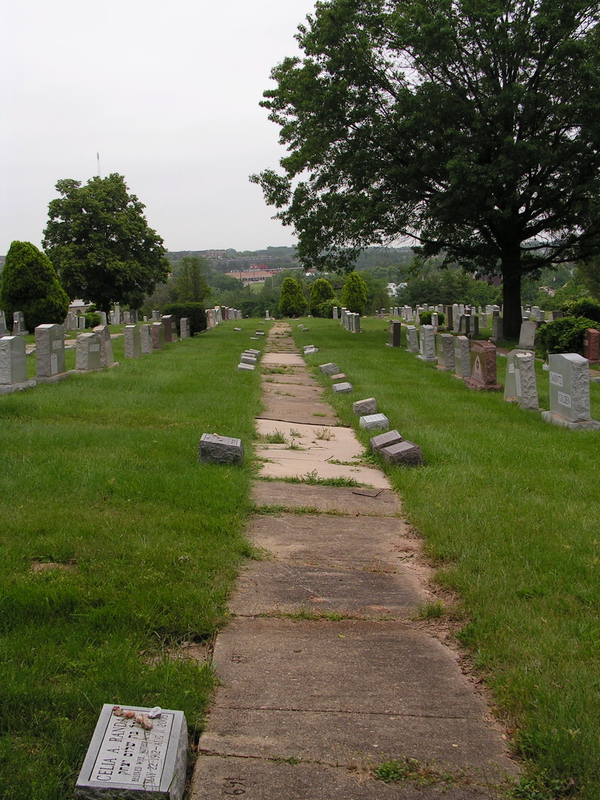 The great cemetery tour of June 2008. 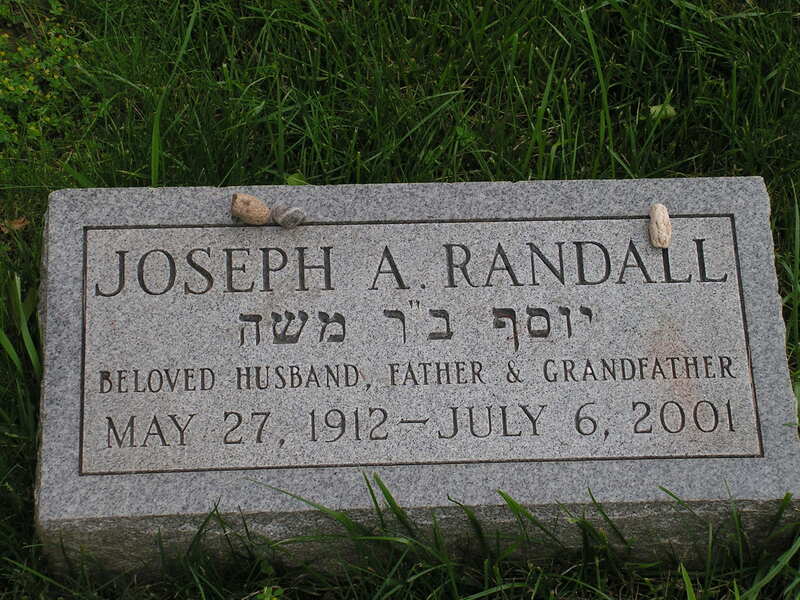 That’s my maternal grandfather, Daddy Joe. 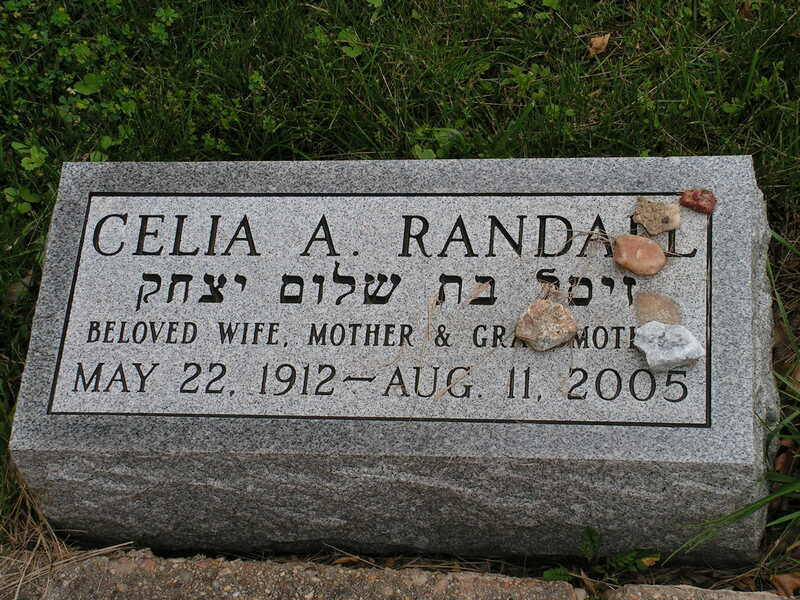 My mom puts some stones on her family’s headstone. 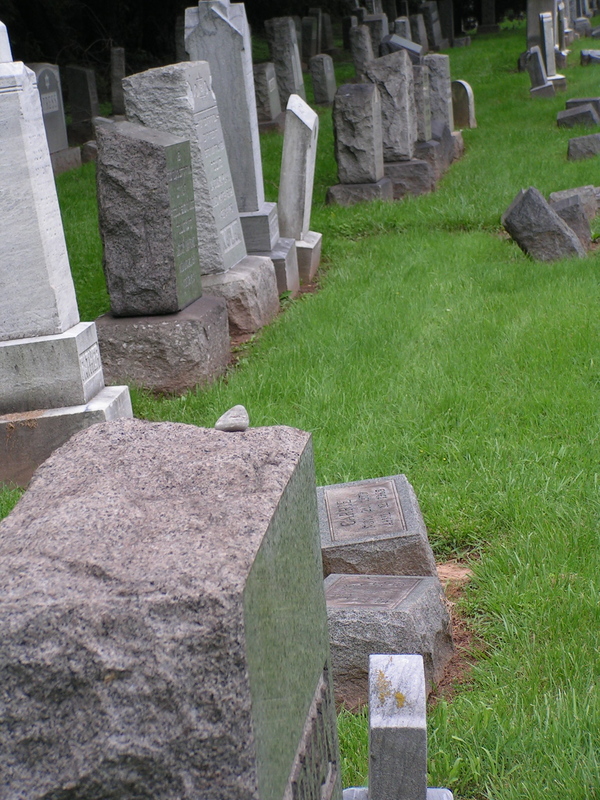 Jews place stones on graves to show respect and remembrance. 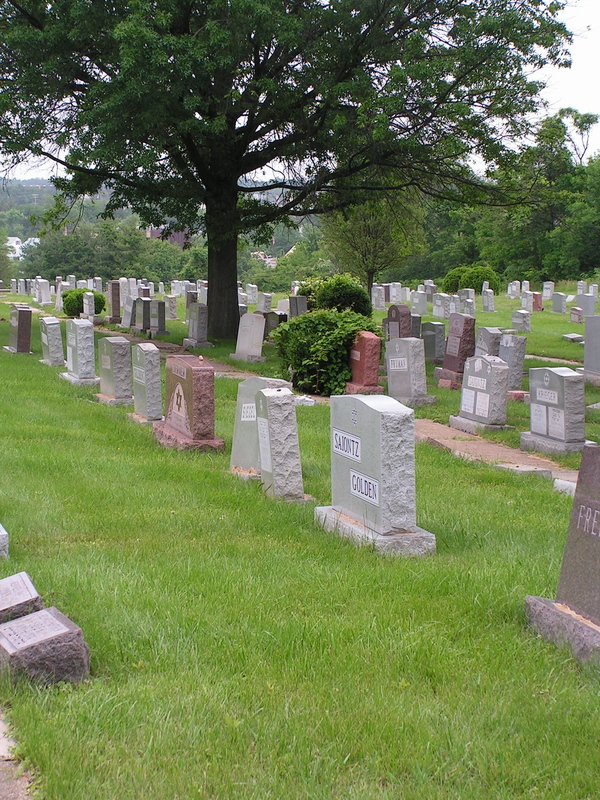 Also, I’ve read that laying a stone on the grave is symbolically taking a part in the burial process, which is one of the highest good deeds a Jew can perform. These are my paternal grandparents. 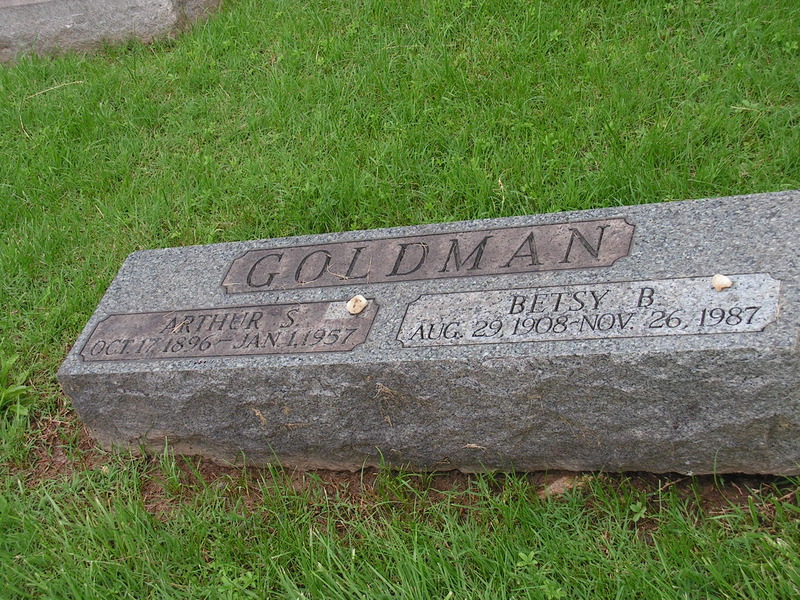 I never met my grandfather and my grandmother, Betsy (Nana G.) was a wonderfully eccentric woman. I loved spending time with her and hearing her stories. 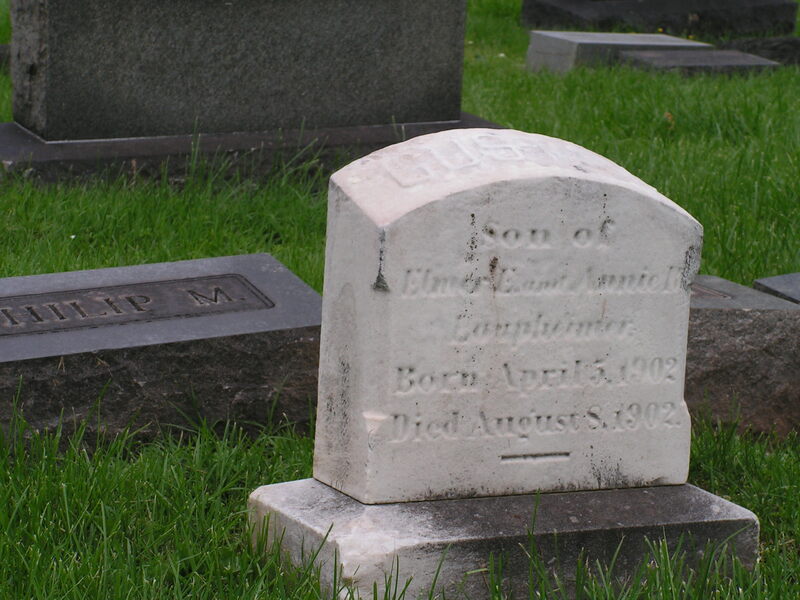 I thought this stone was cool-looking and then realized this child was only 4 months old and died in 1902. How sad. These are my maternal great-grandparents. I remember them well! My great-grandmother wore black shoes that laced up the back. They both had strong accents. They were very kind. This is the stone for my great uncle Bernie. He was a concert cellist. Neat stone, huh? I just liked this shot. This is my paternal great grandmother, Bam. I have heard lots of stories about this woman. Lots. For another day, maybe. 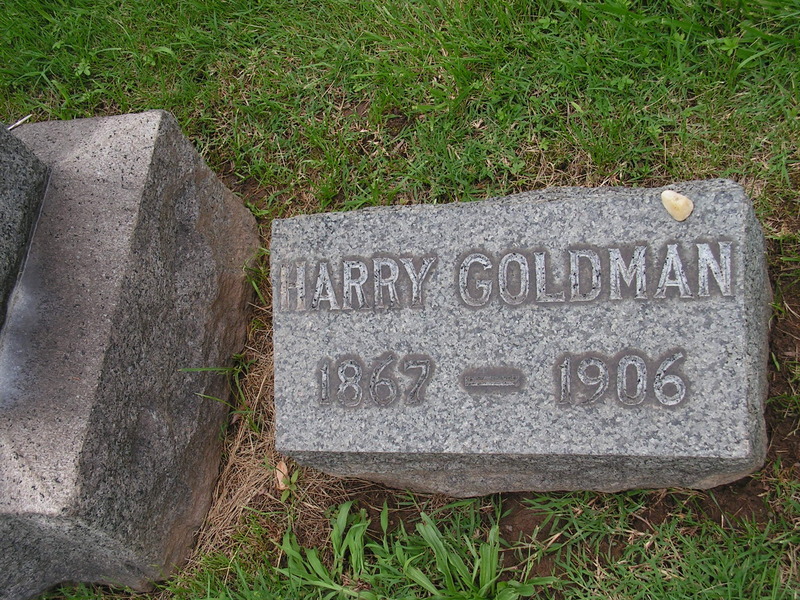 This is my paternal great grandfather. He died young, as you can see. And this one? I couldn’t resist the shot. My mom thought it was morbid. But oh, well. I was even thinking of making the blog header out of this. I might just do it…. 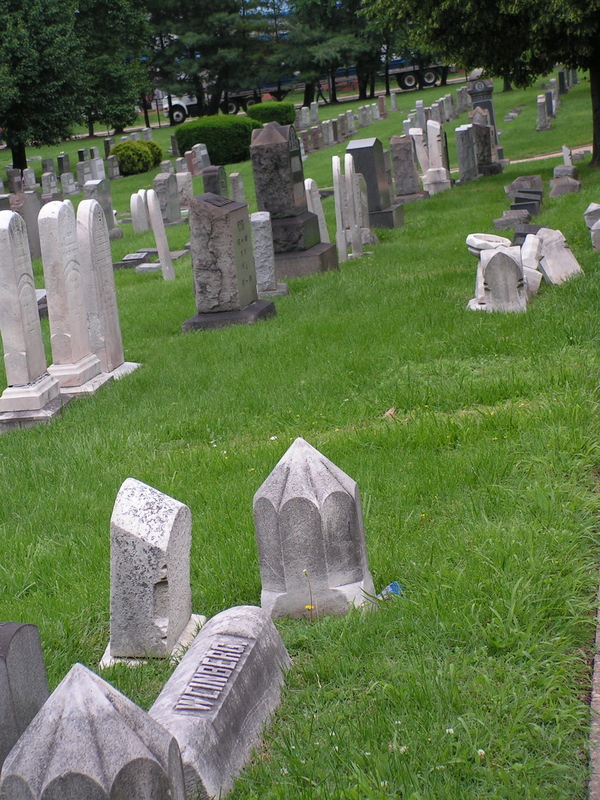 Strangely (according to some of my friends), I’ve always loved cemeteries…and I have so many photos from them. So I looked at each and every photo eagerly. But, in closing, I can’t help but point out that YOU FOUND BLANCHE, didn’t you? 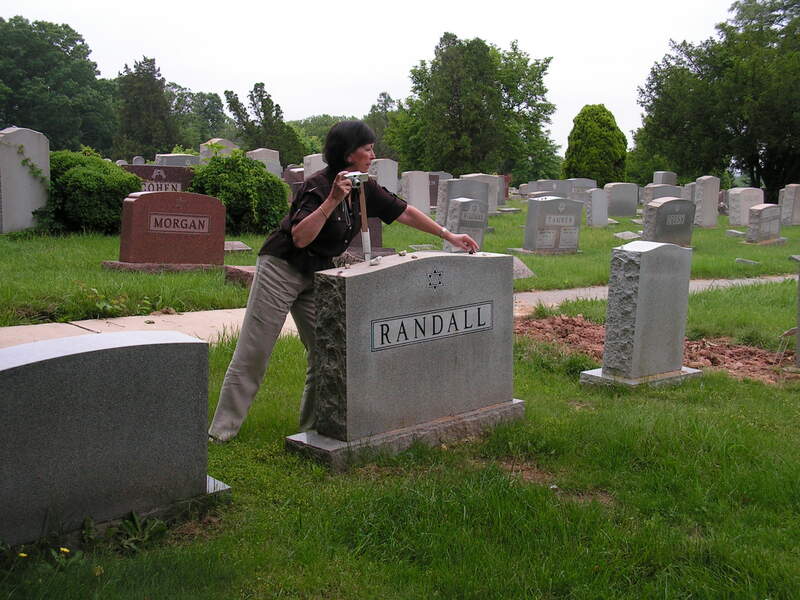 That was really nice, going on that cemetary tour with you through your photographs. 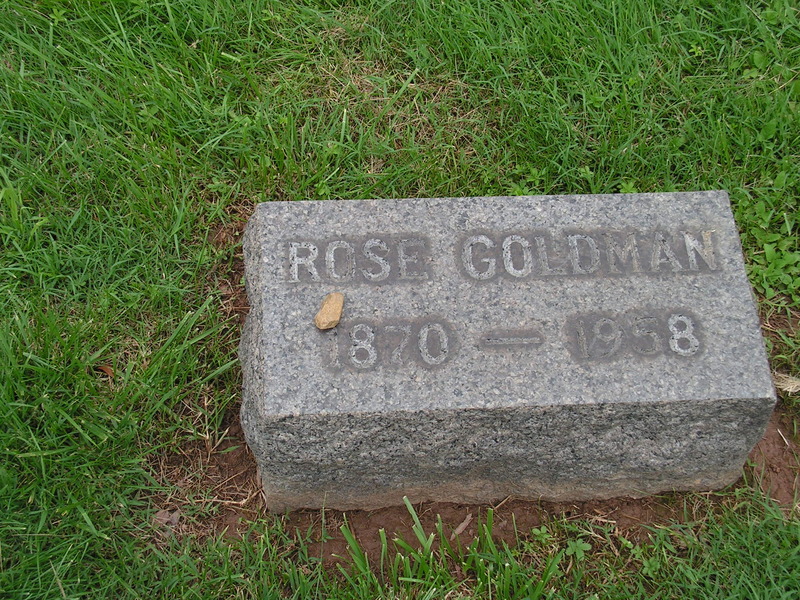 And I never knew about Jews putting stones on graves so I’m glad you explained that. Wendy, great tour. 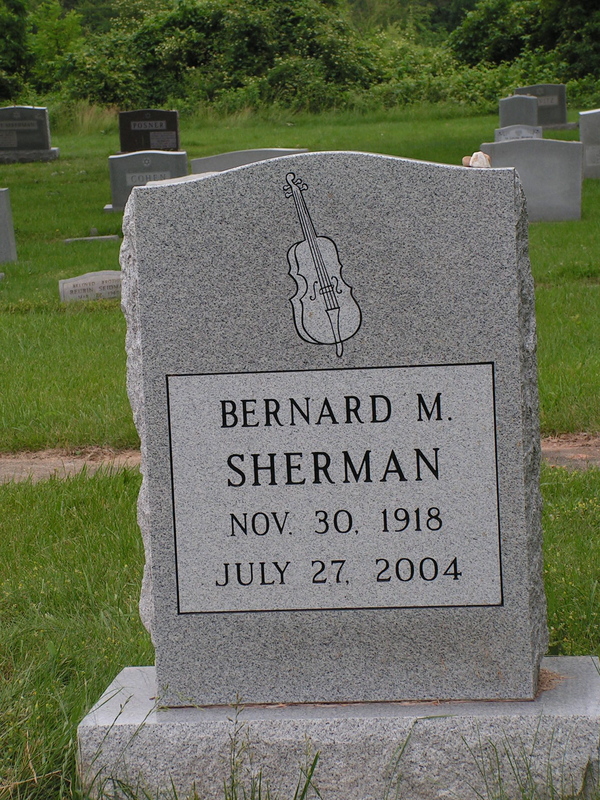 East coast cemeteries look so different from those here in L.A. Love the headstone with the cello. 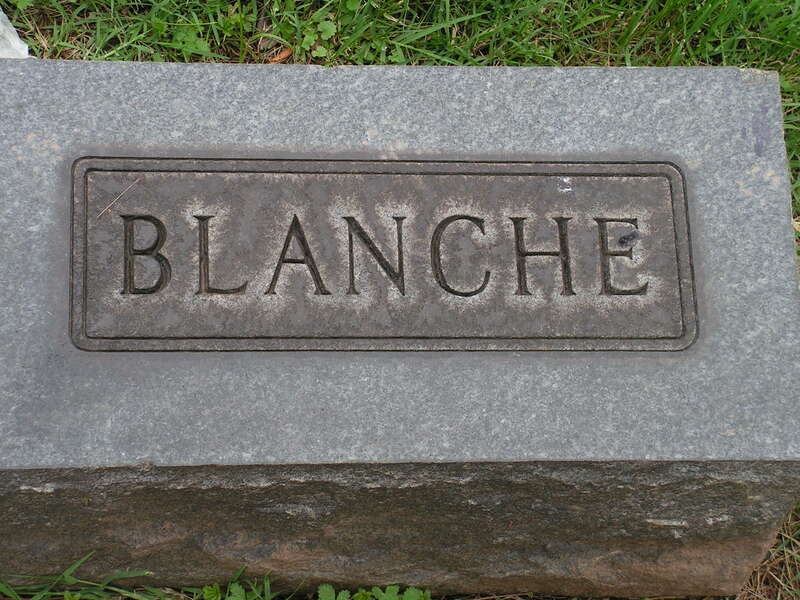 Blanche. I don’t know if that was the person’s first or last name but I like how it just has the name. 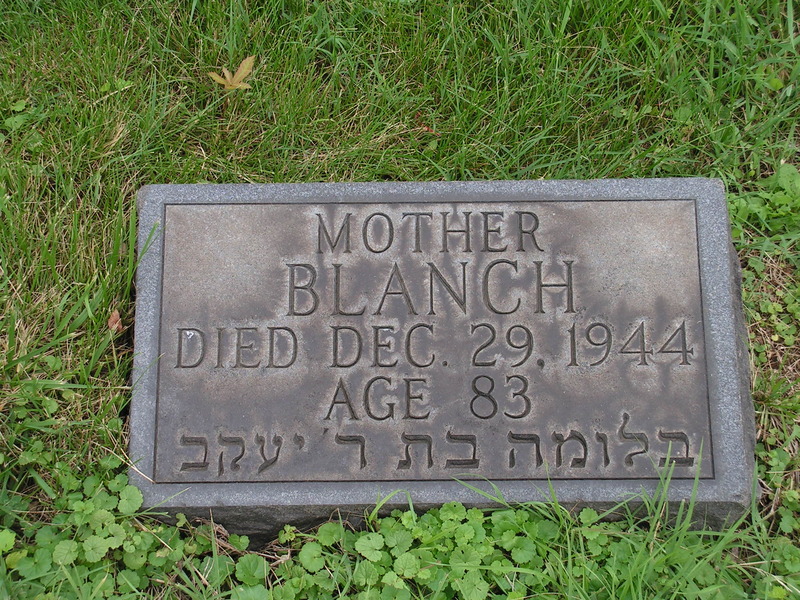 No dates, no pictures, just Blanche. I like how that one word is enough for that person. P.S. I think it would make a great blog header! From a more pragmatic POV we also leave stones so that people are reminded that the family is still around, watching and expecting proper maintenance. You know the scoop though, 12 Rabbis = 13 opinions. We leave Happy Meal Toys on my Grandmother’s headstone. She would have wanted it that way. Great pix, and a nice tour. I’m not sure about that blog header either…but if you find one that says “Gnightgirl” I’ll play along too. 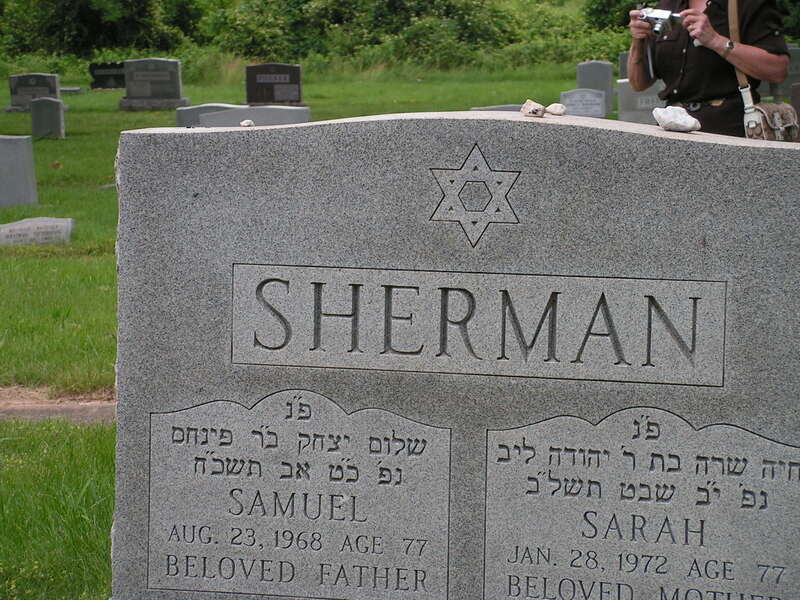 I also have relatives named Sherman who were professional musicians. Maybe this is another connection in our already intertwined lives.